Building Responsive Apps with NativeScript — Learn three techniques you can use to create “Responsive Layouts” that look great on any device with NativeScript. Pacing Ourselves in the Marzipan Marathon — Speculation on Apple’s long term Marzipan strategy. 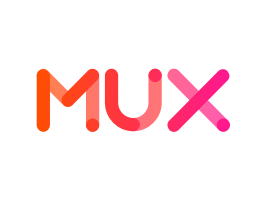 Tutorial: How to Build a Live Streaming App — Use Mux's simple, but powerful, video APIs to build live streaming into your application. Mobile Biometric Authentication for Enterprise Apps — How to reuse your existing enterprise authentication and integrate mobile biometric authentication in your apps using NativeScript and Kinvey. What I’ve Learned Building 4 React Native Apps Over 3 Years — In this post Kyle shares his experience and tips from using React Native for building mobile apps. Android Q Beta 2 Update — The second Android Q Beta 2 and an updated SDK for developers is now available. Building Faster SQLite Inserts for an Android App — Yello’s Android team improved SQLite insertion times for data sets greater than 10,000 rows more than 50% by batching inserts. Google AMP Lowered Our Page Speed, and There's No Choice But to Use It — A blistering critique of AMP based both upon Google’s management of it as well as its ability to actually achieve it’s goal of improving performance. Structuring Your iOS App for Split Testing — Provides a simple way of structuring and organizing your app in order to achieve clean/scalable iOS code when using split testing. Push Notification Engagement Naturally Degrades Over Time — An interesting look at how engagement with push notifications consistently falls regardless of the content. Basic Navigation in Flutter — Cheatsheet — The answers to re-occurring questions about navigation logic in Flutter.